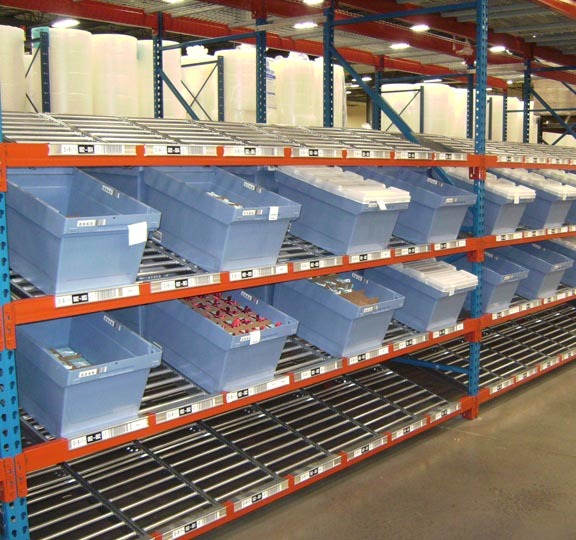 Keneco Beamtrack offers you roller conveyor style carton flow and a great way to get more use out of your existing pallet racks. Perfect for inventory management and order picking operations, Beamtrack offers you many useful features and options, including optional knuckle front that presents the carton at a 20° angle for faster, ergonomic split case picking. 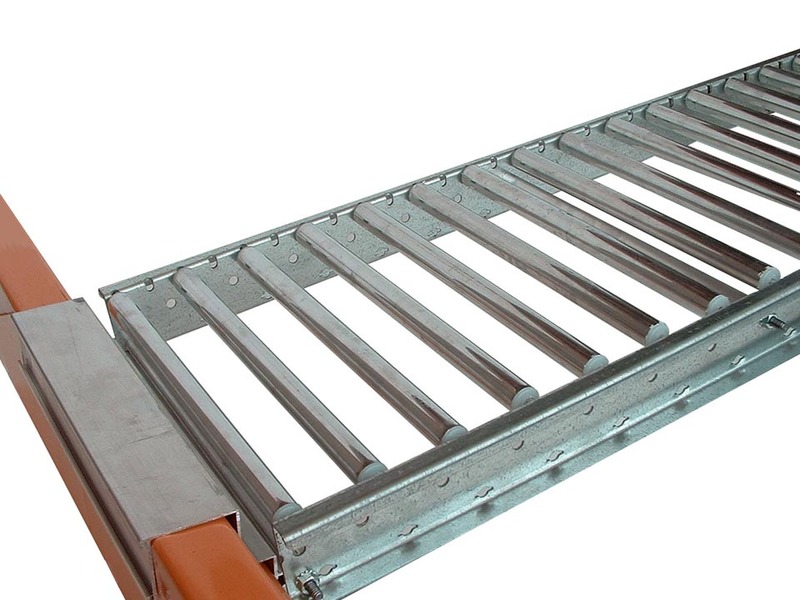 Quick and easy to install, Keneco Beamtrack does not require shelves and will fit most pallet rack simply by attaching it to step or structural beams with aluminum hangers. 3/4″ diameter aluminum rollers on 1″, 2″ or 3″ centers.